At the 2015 Frankfurt Motor Show, Toyota unveiled the upgraded version of the recently shared concept named, Toyota C-HR Concept 2015 . The design theme still features bold pattern but gets more practical. It looks like the company is pretty serious about same and in very soon we can have the production version of the concept. 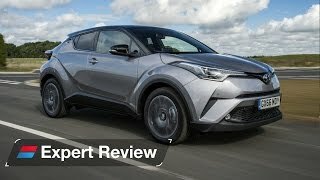 Let us get to know in detail about it, through the review of Toyota C-HR Concept 2015. 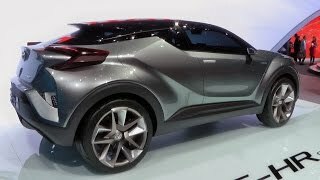 Toyota didn’t unveil any detail regarding the interior of Toyota C-HR Concept 2015 however the rounds of presumptions are in progress. We believe that the interior details could be a bit confined and the passengers sitting at the rear might not get the clear visibility of road. The reason behind this is the outer design that we can see. The crossover doesn’t seems to have sufficient space and proper arrangement at the rear. Do not expect ‘wondrous’ inclusions inside and stay prepared have neutral tech features and not more than five-inch touchscreen at the front. We also expect the interior to match the details of ‘Juke’ we recently saw. 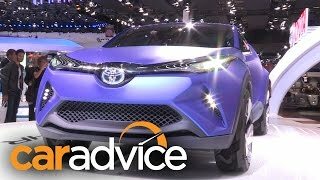 Thus rounding up the interior details of Toyota C-HR Concept 2015 all I would say is, do not expect something new and marvelous yet stay prepared for something that might win the hearts of new buyers. The exterior of Toyota C-HR Concept 2015 holds little similarities with the recently unveiled Nissan Juke. The concept has new set of doors, although you’ll have to use the eagle’s eye to find them as they are concealed in the body. At first glance the crossover might look like a coupe-like figure with its only two-doors visible. Concept features an angular design theme and carries a bold body. The front section is way too aggressive with the stretched headlamps and the massive air dam integrated in the bumper. The taillights are inverted L-shaped while the rear deck lid and bumper and get a lifted stance and features a sportive stance. You can also notice sharp creases alongside the concept. 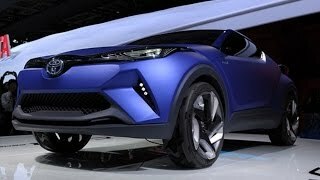 Thus rounding up the exterior details of the Toyota C-HR Concept 2015 I would say if this comes as production version, the model will undoubtedly splatter lots of aggression. Toyota didn’t share any update regarding the powertrain of Toyota C-HR Concept 2015 but we do know that the concept will be housed and powered by a full-hybrid engine. Apart from this nothing has been shared but we look ahead to have the information very soon. Till then all we can do is wait and have the performance figures of Toyota C-HR Concept 2015 coming from the company’s house.